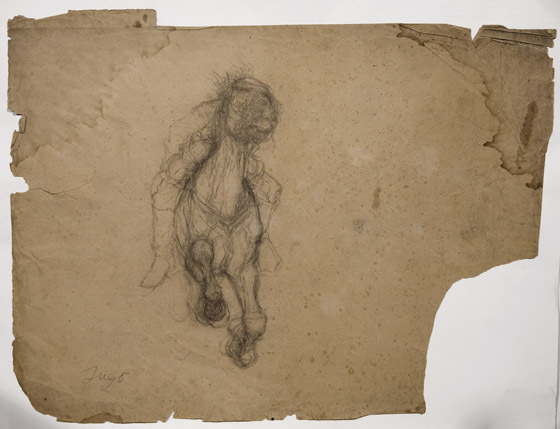 This may be one of Trego’s earliest renderings of a horse. He was fascinated by horses his entire life and never passed up an opportunity to study them and draw them. The animals are often more detailed than the human subjects which appear in the same paintings. The head-on foreshortened view seen here was one of Trego’s specialties.